Choosing gifts for the high-tech person in your life can be a challenge – especially when they are picky… especially when they are picky, and have a tendency to buy exactly what they want, when they want it. (*cough* Dad *cough*) If you act quickly, you can get any of these gifts in time for Christmas! The key to choosing a smart speaker for someone else is to choose the device based on the recipients current setup. If they use an iPhone and Apple TV, you’ll want to hook them up with the Apple HomePod. This is not available until early 2018, but you can give them $349 Apple giftcard to help them get through those post-holiday blues. If they have an Amazon Prime and FireTV, get them the Amazon Echo (on sale right now for $79.99 with free 1 -day shipping). If they already have an Echo, you can add an Echo Show ($149.99), or Echo Spot ($123.49) which both feature a screen for viewing things like videos, music lyrics, weather forecasts, and security camera via voice command. If they are using ChromeCast, Google Apps, Nest and streaming services like Netflix and Spotify, give them Google Home (currently on sale for $79, but you will have to pay extra to get it before Christmas). If they already have Google Home – add a Mini device ($29) to their setup. If you’re shopping for someone that will use the device primarily for music, and utilizes many music apps, check out Sonos One ($199). This device has Alexa built in and features the best sound quality. 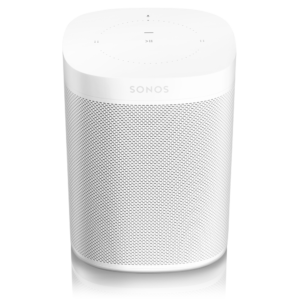 Sonos One is compatible with all the major music services including Amazon, Apple and Google as well as streaming services like Spotify, Pandora, iHeartRadio, and SiriusXM. If they already have a Sonos, gift them a subscription to a supported music service they don’t already have. 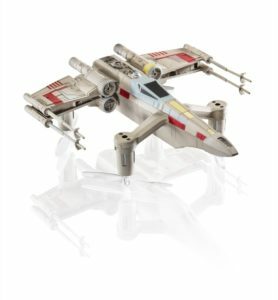 If you’re shopping for a big Star Wars Fan, check out these Drones! Choose an X Wing, Tie Fighter, or Speeder Bike. Features a “training mode” that lets you practice without crashes, flying speeds up to 35mph, and 3 speed settings that range from beginner to advanced pilots. And the old shall become new again! It turns out even teens occasionally want a real photo in their hands. 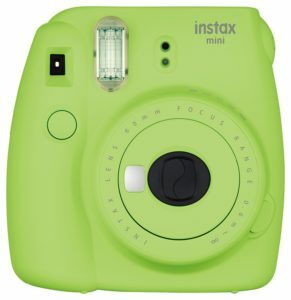 The Instax Camera Gift Set includes a carrying case, film, 10 photo frames, and arts & crafts accessories. This is a recycle from our Mother’s Day Gift guide in May. My husband took the hint and got me this for me, and it is fantastic! It is an affordable upgrade option for older vehicles without hands-free capabilities. The Motorola Roaster 2 is a Bluetooth speakerphone with a 20 hour battery life that allows you to listen to music and accept calls. It also has a built-in FM transmitter for listening through the car speakers. 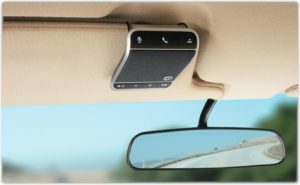 It’s easy to pair with your phone, and automatically connects when you get in the car. When not in use – this battery lasts for weeks! 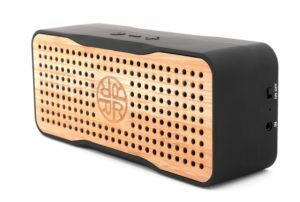 To name a few: A Bamboo solar portable wireless Bluetooth speaker ($79.99), bamboo earbuds ($34.99), cork bluetooth keyboard ($39.99), and beautiful natural folio cases for iPads ($39.99) and iPhones ($19.99). Reveal is “inspired by mother nature and environmental stewardship” and plants a tree for every product sold. They offer a variety of unique gifts for the high tech, but environmentally conscious, person in your life. No idea what to get someone for Secret Santa? Or what to bring to that White Elephant gift exchange? 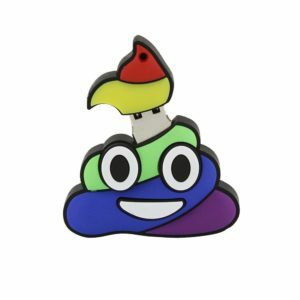 Let them know how you really feel about it with a 32GB flash drive in the shape of the poo emoji. Available in brown, pink, or rainbow.